Huish's - Awnings, Pergolas & More in Utah! : Serving Utah Since 1936! For over a half-a-century Huish's has been sewing on canvas. It all started when Bert Huish, of Provo, saw the opportunity that canvas presented to manufacture attractive and durable awnings,patio covers, banners, tarps, tents, boat covers, truck covers, and other industrial sewing applications. When he opened his first store in 1936, he never dreamed that he would be starting a tradition in his family that would span four generations and provide employment for many people. Bert's son John was a valuable asset to the business. In 1945, Bert moved the store to 1767 South State Street in Orem, Utah, where it continues to operate. Bert's son John began to be a valuable asset for the business. 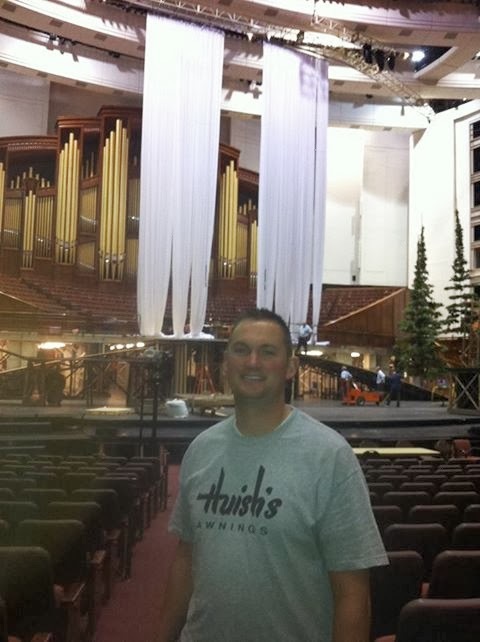 John and Bert started making draperies and stage curtains for church's, schools, and residences. 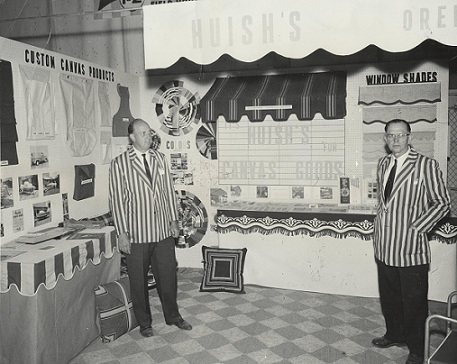 They expanded Huish's sewing capabilities to bring more stability to the shading products, which are typically seasonal. Around the same time Huish's also began selling high quality patio furniture to accent their shading products and to provide a new backyard and patio experience. In 1976, after nearly 40 years in business, its founder, Bert Huish, died, leaving John to carry on his legacy. The original building has been expanded and renovated several times, and has become a landmark in Orem, Utah. The storefront displays Huish's fabric awnings made from a now improved "canvas", and also displays high quality patio furniture. Canvas today has become somewhat of a generic term for industrial fabric. 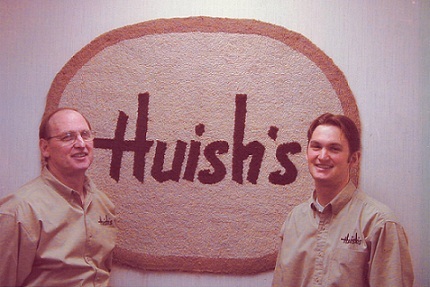 In 1990 John Huish retired from the business, and their son, J. Todd Huish, became president of Huish's. John continued to come by the business to see how things were going until he passed away in 2008. Now, Todd's sons, Jason Huish and McKay Huish work with him in the business, carrying the name of "Huish's" on to it's fourth generation.